You might have seen our article on the best Kodi addons of 2018, but most of these recommendations came from a small selection of well-known repositories. In this piece, we’ll be singling out the best Kodi repositories for June 2018. This will allow us to pay tribute to the popular repos that most people know about while highlighting little-known repos that offer excellent addons. One of the best things about Kodi is its versatility. It can be easily installed across a huge number of devices including PC, iPhone, Android, Nvidia Shield, Roku, Amazon Fire TV, Amazon Firestick, Apple TV, and even a USB flash drive. Because there’s no disparity between platforms, all of the repos we’ll be discussing will work on whichever device you’d like to use. We have two criteria for rating Kodi repos. First, we check to see if the repo has any addons that aren’t available elsewhere, and then we consider the popularity of the addons a repo holds. When these factors are accounted for, the value of a given repository quickly becomes clear. It should be noted that some of the repositories below contain addons that offer unrestricted access to licensed content. We’ve included these due to their popularity, but we strongly recommend using official sources wherever possible. This allows you to support the people and organizations that create the content and reduces the risk of any legal repercussions. Using official repositories significantly reduces the risk of installing malware or maliciously altered addons. Make sure to study your country’s laws regarding streaming content online before attempting to use Kodi for this purpose. If you’d like to uninstall an offending third-party addon from a repo, just right-click on the addon, go to its information page, and select the “Uninstall” button. Some Kodi users stream through a virtual private network (VPN) to hide their activities from their internet service provider (ISP). Despite this, there are many ways a law-abiding Kodi user could benefit from using a VPN. Because a VPN encrypts your network traffic, an outside observer can’t see what you’re doing. This prevents most Man-in-the-Middle (MitM) attacks and stops your ISP from throttling your internet speeds. All VPNs slow your internet connection down somewhat, but some offer a smaller speed reduction than others. This is particularly important to Kodi users as a fast speed is required to stream video. Also, some VPN providers keep logs of your activities, completely defeating the purpose of the service. We recommend IPVanish. It’s one of the fastest VPNs we’ve tested and offers stable connections to servers in more than 50 countries. IPVanish keeps no logs of your traffic and can be easily installed on a wide range of devices including the Amazon Firestick. The repositories below contain mostly official addons. Because official addons are created with stricter testing and validation procedures, they’re usually safer than third-party addons. Official addons stream video from properly licensed sources, and as such, their content is either freely available or requires a login to watch. 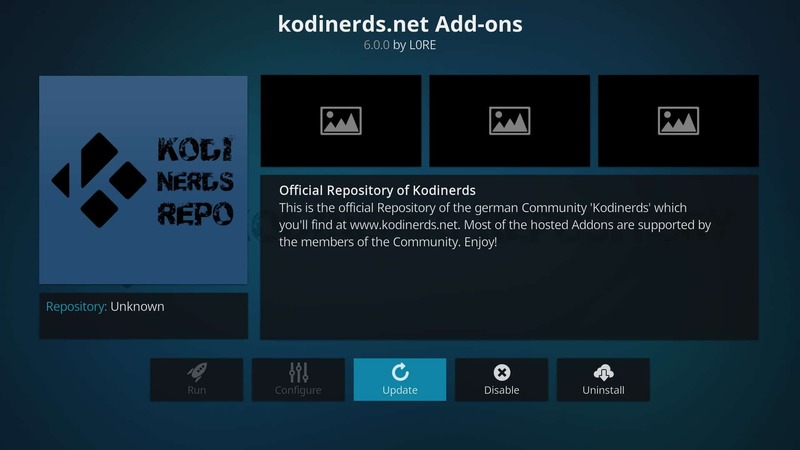 The official Kodi addon is the only repository that comes preinstalled with Kodi and offers a large selection of legitimate addons. Some of the Kodi repo’s most popular addons include YouTube, iPlayer WWW, and the PlayOn Browser, but there are also several helpful utilities such as Trakt and the Log Viewer for Kodi. 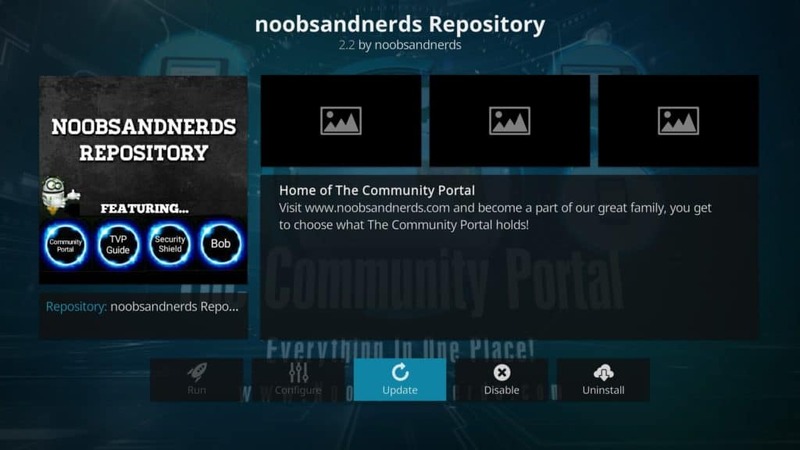 This repository is very well documented, and the Kodi team is very active on social media. This means that should one of the official repo’s addons be hijacked, there are numerous sources of trustworthy information, and you’ll likely be made aware before you update it Still, there’s no guarantee that you’ll receive the warning before damage is done, making protecting your connection important and turning off automatic addon updates a necessary step as well.. 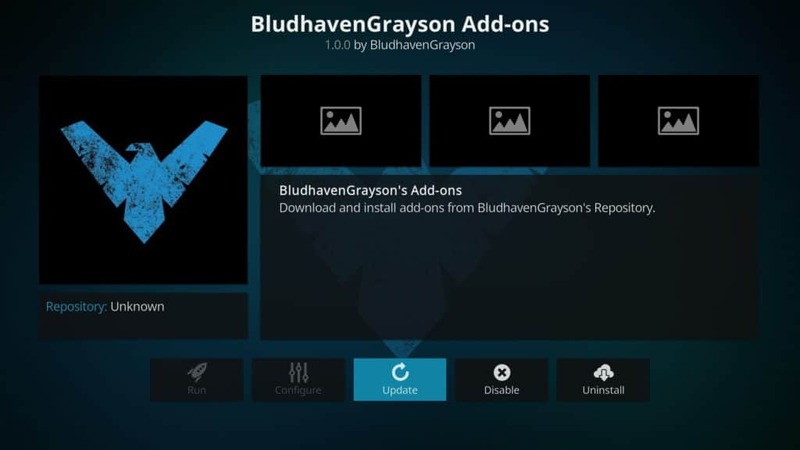 The BludHavenGrayson repo contains seven addons that offer a mixture of live and on-demand content. Among these addons, TVPlayer.com and BoxPlus Network stand out, with the former offering dozens of legal UK TV streams and the latter, several music channels. Most of the addons in this repo work flawlessly, but the PAC-12 Network addon does not. Nevertheless, the BludHavenGrayson repo is an excellent resource for legal TV streams. Some of its addons region lock their content. You may have to connect your VPN to a server in the UK to watch, but this only takes a minute and is not a problem exclusive to this repo. The BludHavenGrayson repo can be found here. Eracknophobia’s repo is home to several sports addons and the updated version of the Crackle Kodi addon. This repo contains multiple sports addons, including the MLB.TV, NHL TV, and NBC Sports Live Extra addons, which hide most of their videos behind a paywall, but the AMA Pro Racing and March Madness Live addons offer high-quality sporting content for free. Although the developer’s Twitter account has not been used in over a year, the repo is frequently maintained and updated. 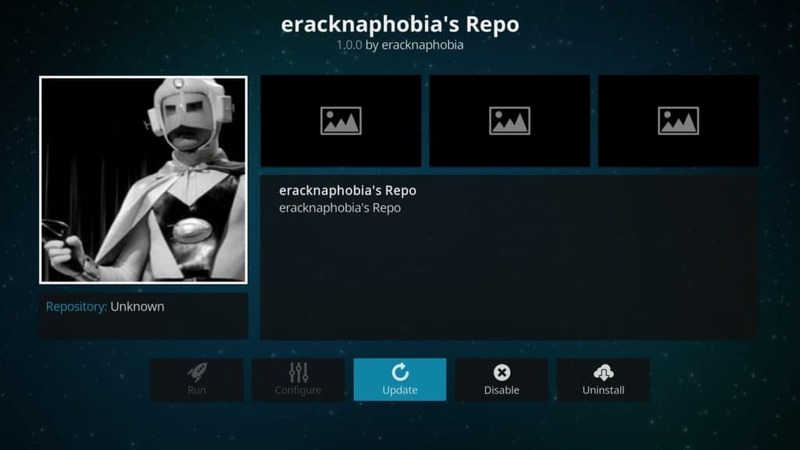 Because of Eracknaphobia’s commitment to Kodi’s anti-piracy policy, there are multiple reputable sources of information should you run into difficulty installing any of its addons. Eracknaphobia’s repo can be found here. The Kodineds.net repo holds several great music and video addons. Some of the better-known entries include Sky GO, YouTube Music, and SoundCloud. Also, the official addon for sports streaming platform DAZN is only available in this repo. This repo has its own dedicated forum and Twitter account, however both of these are in German. This means that unless the developers make an announcement in several languages, English speaking Kodi users will have to rely on unreliable translation tools if the repo is compromised. The Kodinerds.net repo can be found here. Before TV Addons’ Fusion repository was taken down by a lawsuit, it used to contain copyright infringing addons. However, it has returned and now only holds legitimate sources of content. As such, the new repo is a great place to find addons like FilmOn Simple, Adult Swim, and USTVnow Plus. 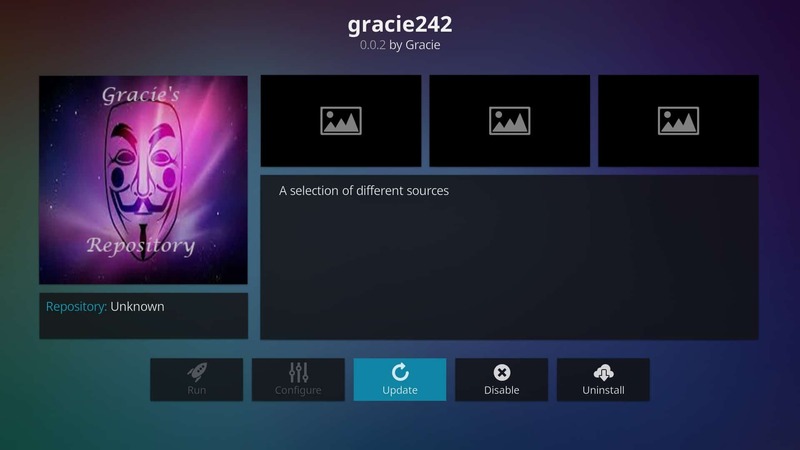 The Fusion repo is also the home of Indigo – TV Addons’ answer to the Ares Wizard Kodi manager. While the TV Addons team’s old Twitter account was made private earlier this year, they have created a new account and forum for discussing the repo and its contents. The TV Addons repo can be found here. 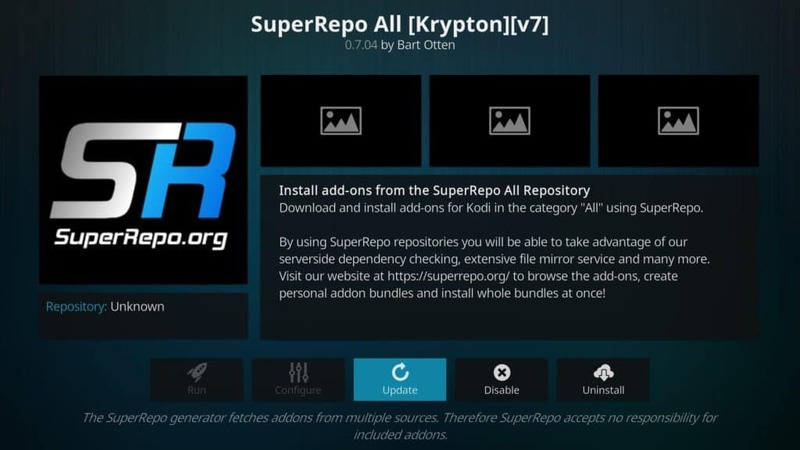 SuperRepo is the largest repository of Kodi addons. It contains so many addons that it groups them into sub-repos that can be installed independently of each other. Many of the addons it holds provide unauthorized access to licensed content, so we recommend using the official ones like BigStar Movies & TV, Vevo, and FilmRise instead. The biggest problem with SuperRepo is that it doesn’t update as frequently as some of the other repos we’ve covered. This means that some of its addons are outdated or no longer work. However, these represent just a small portion of what is available. The SuperRepo repository can be found here. If you’re looking for extremely high-qualtiy addons that you didn’t even realize you needed until today, install MetalChris’s Repository, stat. This repo has over 30 unique addons, some of which you’re definitely going to want. The addons available here that interest us most, however, are the BigStar Movies and TV, Black and White Movies, Documentary Storm, and FrightPix. BigStar Movies and TV connects you directly to BigStar, an Australia-based on-demand streaming site. BigStar is very similar to free on-demand services like Tubi TV, Yahoo View, Viewster, and Crackle. It has a loads of free content, some of which is well-regarded and highly-rated. Black and White Movies offers just that: black and white movies. This addon connects you to free, classic movies that you can even download directly from within Kodi. Meanwhile, Documentary Storm and FrightPix also provide access to exactly what they sound like, serving up documentaries and scary movies for eager Kodi users. All of the content found in MetalChris’ Repository is legal and free to access. 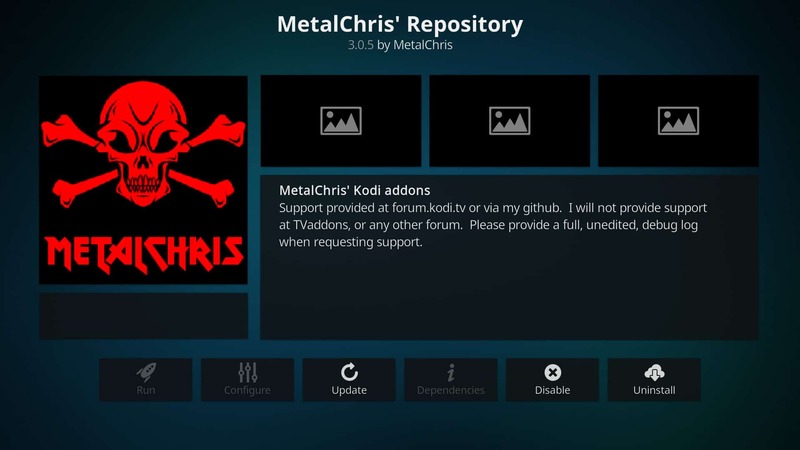 You can download and install MetalChris’ Repository from github. The following repositories contain mostly unofficial addons, and as ever, we advise our readers to find official sources wherever possible. We’d like to stress that a repo’s presence in this list does not constitute an endorsement of it. Rather, they’re listed because they’re popular in the Kodi community, for better or worse. The Smash repo provides an alternative location for the YouTube Kodi addon but is also the home of Gurzil, an Exodus fork. Additionally, it contains Exodus itself, and Stream All The Sources, two of the most popular unlicensed streaming addons. Smash has a Twitter account, but it’s used for general communication rather than being repo specific. He has also deleted his account in the past, so there’s no guarantee that it will be a consistent source of information. For this reason, we do not recommend Kodi users install the Smash repo. The Colossal (or Colossus) repo contains the Adult Swim and Echo Wizard addons but also offers a selection of illegitimate sources for movies and TV shows. Among these are the infamous Bennu, Covenant, and SportsDevil addons. This makes it clear that the Colossal repo is not intended for Kodi users looking for official sources. The development team does not have any social media presence. Because the Colossal repo contains so many third-party addons, most Kodi forums do not allow discussion of it. This means that users would have very few reliable sources of technical support for this repo. For the reasons above, we do not recommend installing the Colossal repo. The Kodil (Kodi Israel) repo contains over 500 addons including FilmOn.TV, ITV, and Indigo. However, it also hosts many addons that do not scrape links from properly licensed providers. These include Goodfellas 2.0, UK Turks Playlists, and Planet MMA. Many of the addons included in this repo no longer work, and considering that the developer’s Twitter account is in Hebrew and hasn’t been used since 2016, it will not be of any use to most Kodi users. 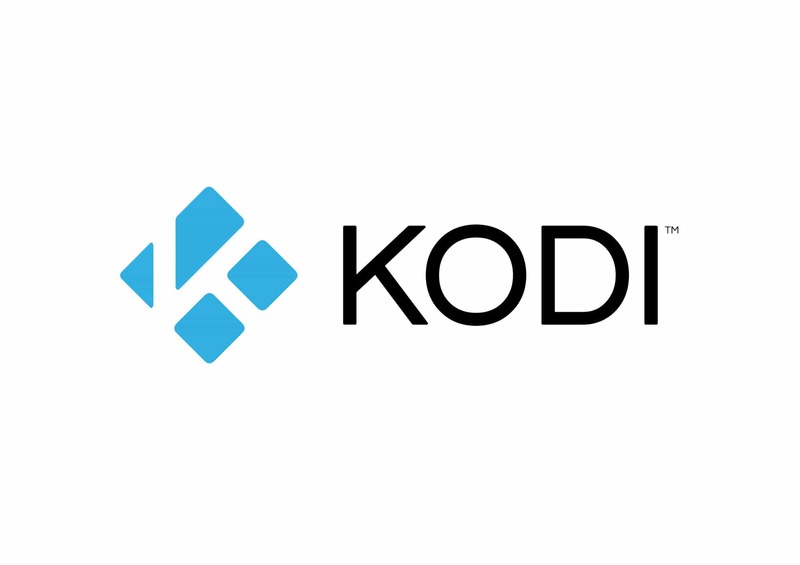 For the reasons above we do not recommend Kodi users install the Kodil repo. There are several repositories that contain the 9Anime addon, however the only one that has a working version is the 9Anime repo by DxCx. This repo contains only 9Anime, an addon that scrapes links from several unlicensed sources. Because there appears to be a single developer, this addon is at higher risk of hijacking than some others. Also, the developer’s Twitter account hasn’t posted since July. With no other social media presence, and considering the many versions of the 9Anime addon available, it can be very difficult to find information relevant to your version of it or the repo. For these reasons, we do not recommend our readers install the 9Anime repo. The Bubbles repo contains the YouTube Kodi addon, but this is its only legitimate source of content. It also hosts the Bubbles and Quasar addons, and each of these comes with their own issues. Bubbles only scrapes links from unofficial sources, so it’s a poor choice for Kodi users looking to stream legitimately. Quasar is a peer-to-peer (P2P) addon that gathers content from torrent sites. Not only are these sites infamous for distributing copyrighted material, P2P addons require external devices to access your computer and bring significant privacy risks. Because the Bubbles repo offers little to law-abiding Kodi users, we do not recommend our readers install it. The Dandymedia repo contains dozens of almost identical addons like Fine and Dandy, 1080p Movies, and Film Emporium. These offer a selection of movies, TV shows, and cartoons but very little of its media library is properly licensed. As such, this repo and its addons pale in comparison to the official Kodi repo when it comes to legitimate streaming. Because these addons are so similar, it’s likely that if content becomes unavailable in one of them, it will be inaccessible in all the others, too. Because they scrape links from disreputable sites, this is more common than you might expect.Google receives more than 50 million takedown requests each month and unlicensed streaming sites account for a large percentage of this. For the reasons above, we do not recommend Kodi users install the Dandymedia repo. The Gujal repo offers a few legitimate sources of content including the DailyMotion and IMDb trailers addons. That said, it also offers SportsDevil and Deccan Delight – two addons that provide unrestricted access to licensed content. Deccan Delight, in particular, exists in a grey legal area; it offers a mix of Desi TV and movies that are legal to watch in India, but may not be legal elsewhere in the world. Because of the inclusion of English language addons that use unofficial sources, we can determine that the developers intended to facilitate unofficial streaming and did not create this for a solely Indian demographic. For this reason, we do not recommend Kodi users install the Gujal repo. The Jesus Box repo is yet another source of the official YouTube addon, but it also contains several addons that gather links from unofficial providers. These include FlixNet, Jesus Box IPTV, and the notorious Genesis Reborn. The Jesus Box developers have no social media presence. Because most of this repo’s fans use it solely for Genesis Reborn, Kodi users will have to work out any issues with the other addons for themselves. Given that this repo’s addons mostly use unofficial sources, the Jesus Box repo offers very little to legitimate Kodi users, and the increased risk is just another reason to avoid it. For these reasons, we strongly recommend our readers do not install the Jesus Box repo. The Simply Caz repo contains a few official addons, such as TED Talks, FilmOn Simple, and YouTube. That said, it also includes many that aren’t official, including Supremacy and Quasar. This repo went offline a few months ago after the creator had difficulty finding a server that could withstand the strain of Simply Caz’s user base, but has recently come back online. The developer says that he’s now treading carefully regarding shady addons, but it should be noted that he hasn’t removed any from his repo. Because of the large number of addons that do not use legitimate sources, we do not recommend Kodi users install the Simply Caz repo. The Ares Project repo contains several useful addons such as the Ares Wizard, Plexus, and YouTube. However, it also hosts several addons that use unofficial sources, including SportsDevil and Planet MMA. The Ares Wizard is particularly useful if you’re interested in tweaking your Kodi installation, but there are far better alternatives as far as media addons are concerned. For the reasons above, we recommend Kodi users do not install the Ares Project repo unless it’s solely for the Ares Wizard. The Mucky Ducks repo is the home of the Mucky Ducks Wizard, an addon for installing builds and performing maintenance on your Kodi installation. It also contains dozens of copyright infringing addons, with no legitimate sources amongst them. Considering that the Ares Wizard and Indigo have similar functionality and their repositories contain at least one official addon each, this repo has very little to offer. For the reasons above, we do not recommend Kodi users install the Mucky Ducks repo. Update June 2018: Unfortunately, Gracei’s Repo is no longer active. That’s unfortunate, as this repository had a lot of quality pieces in it, but sadly, Gracie has decided to close up shop. Gracie’s repo isn’t very well known, which is a shame because it contains several excellent addons. There’s Fantastic Beasts, HammerTime, and Polaris if you like documentaries, Golden Cinema, Tempus Movies, and High Noon for film buffs, and Kidz Corner for classic cartoons. It should be noted that some addons, such as Serendipity, offer unlicensed content, so we’d advise avoiding these and using only the legitimate ones. Unfortunately, the developer communicates only through their Twitter account. Their tweets are protected and can only be viewed by confirmed followers, so it’s unlikely to be very helpful in the event of any problems. Still, to be safe, we recommend following the account to ensure you’re made aware of any issues as soon as possible. Update June 2018: Due to legal pressures, the team behind Noobsandnerds decided to close up shop. This was definitely a tragic loss. While Noobsandnerds did have a few popular infringing addons, they also provided many legitimate options, and were a key team behind helping newcomers learn to code in Python. Let’s be clear: the Noobsandnerds repo contains several addons like Elysium that provide unauthorized access to licensed content. That said, it also holds several legitimate addons like ITV and alternate versions of iPlayer and FilmOn. One of the best things about this repo is the large amount of user support available. Unlike with Eracknophobia, Noobsandnerds have an English language site (Update, the site has been taken down and Twitter account closed) and Twitter account where they address current issues with their repo and addons. It’s worth noting that because of the number of illegitimate addons this repo contains, many Kodi forums do not allow their users to discuss it. However, because this is such a popular repo, there’s plenty of support available on unofficial forums. To find the best Kodi addons, you first have to find the best repositories. This article has shown that there are plenty of high-quality repos that offer official sources of content. This disproves the idea that Kodi is a poor platform for streaming and highlights the potential that it has for streaming services in the future. I was only able to find two of the aforementioned repos on my addons list on the Kodi set up. Hi there! Some repos have gone offline recently but the majority of the official ones are still up and running (see https://www.comparitech.com/kodi/kodi-addon-developers-go-offline/). The repos above have to be installed before they’ll appear, either by downloading the zip file or by adding the repo address to Kodi’s file manager. Please let us know if you need any further help.